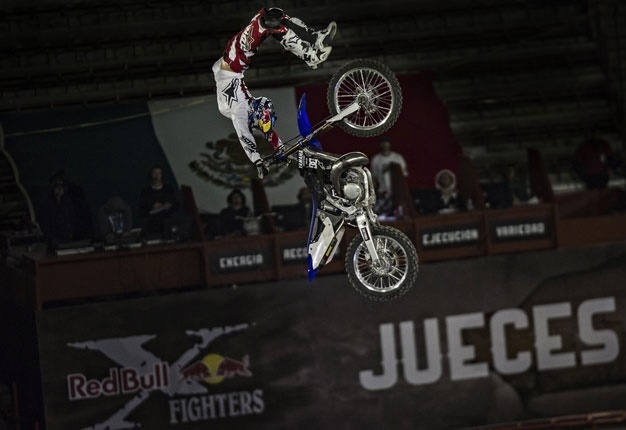 Thomas Pages showed up at the Red Bull X-Fighters World Tour stop in Mexico City earlier in 2015 with what could be a game-changer of a bike. Always pushing the limits with his tricks, Pages applying his ingenuity to equipment, debuting a cutting-edge motorcycle lightened with carbon-fibre. In the pits at the Monumental Plaza de Toros, Pages and his mechanic Guillaume Davion explained. 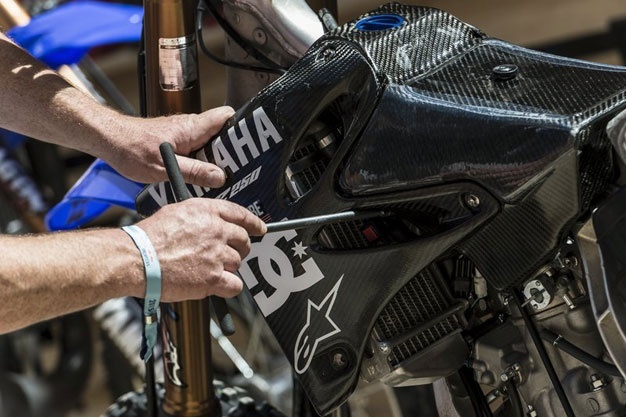 Davion, who hand-crafted the modifications, said: "I believe it's the lightest bike ever to be used in competition anywhere – certainly in Red Bull X-Fighters history. This is 15kg lighter than the bike Tom was riding last year, which was about 100kg." While the frame remains aluminium and some components are titanium, the subframe, such as the grab holds at the seat, has been replaced with carbon-fibre. Even the brake lever and shift lever were lightened, the brake discs have been drilled with holes to further reduce weight, and the bike's forks use air rather than springs. It was Pages who came up with the idea as he considered the problem of how to generate enough power for the radical tricks he already performs – and those he'd like to develop. 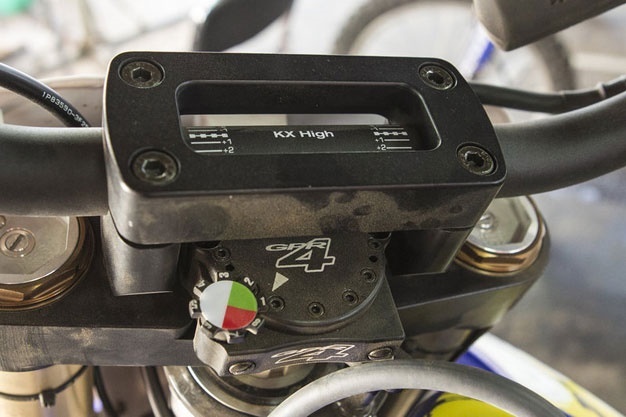 Less weight means less work for the bike's engine, an important factor in a sport where riders launch 15m high and 30m in distance to execute their jaw-dropping manoeuvres. 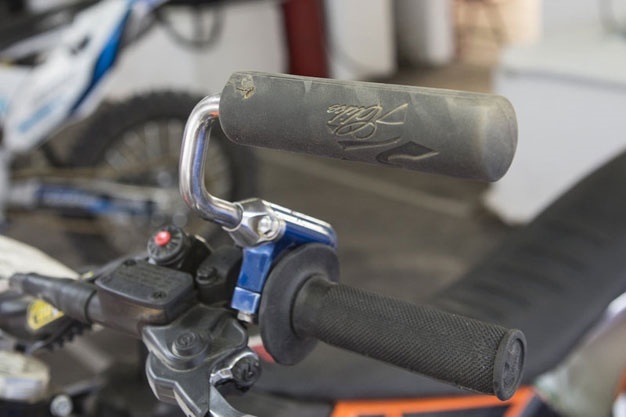 A Flip Bar or 'lever' is a metal plate or pipe wrapped with soft material, coming off the handlebars. They are used to exert counter-pressure on mostly upside down tricks, when a rider is mid-air. Levers are folded down when not in use to be out of the way of any bar tricks. The stabiliser is a riders best friend when they perform tricks where they release the handlebars or land no-handed. It´s mounted below the centre of the handle bar & the grade can be adjusted to ensure the bar stays in a straight position being upside-down hands off. To get more grip for tricks like the Cliffhanger, grip tape is glued to the fork. Riders remove some of the foam padding under the leather to give them more room to manoeuvre when pulling off tricks such as “No-Footed-Cans“. 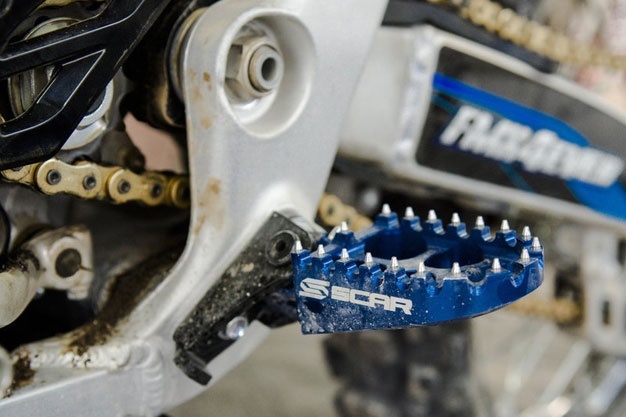 Wide foot pegs offer riders more stability and help to disperse the impact on landing. Most riders upgrade the standard exhaust system for more power. Wide holes are cut into the fender side plastics and, on some bikes, the subframe is adjusted to create a good grab hole for seat-grab tricks.